Charles Conwell heads to Rio de Janeiro in March, where he will compete for a spot on the U.S. Olympic Boxing team. 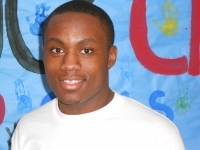 Charles Conwell, a senior at Heights High, may be headed to the 2016 Summer Olympics in Rio de Janeiro this August. Conwell, a 165-pound middleweight boxer, won his class at the U.S. Olympic Team Trials in Reno, Nev., in December. He beat two-time national champion Leshawn Rodriguez in his opening bout, and then went on to win his fights against world championship team member Anthony Campbell and 2015 national champion Chordale Booker. In March, Conwell will head to Buenos Aires, Argentina to take part in an international qualifying tournament—the first of three such tournaments. According to a representative of Team USA Boxing, if Conwell is one of the top two finishers in Buenos Aires, he will make the Olympic team. If he doesn’t finish in the top two there, Conwell will move on to the next qualifying tournament, to be held in Sofia, Bulgaria, in May, where he would need to be among the top three finishers in order to make the Olympic team. The third and final qualifying tournament will take place in June, in Baku, Azerbaijan. There, Conwell would need to finish in the top five to qualify for the U.S. Olympic team. On Jan. 15, Conwell will head to the Olympic Training Facility in Colorado Springs, Colo., to prepare for those international tournaments. Conwell’s family has been involved in boxing for many years, and four of his eight siblings have participated in the sport: brothers Marlon (super-heavyweight) and Isaiah Steen (middleweight), and sisters Tyree and Tiarra Conwell. The family calls itself Team TUFF—Tightly United Family Fighters. Chuck Conwell, Charles’ father, has been his coach since he started boxing. Conwell already has won numerous awards and boxing championships. He won a national Junior Olympics title in 2013. The following year, he was the Junior and Youth Open champion and the Youth Continental champion. Last year, he won a national Golden Gloves championship. It was his first time competing in the event, and the first time in many years that someone from the Cleveland area had won a Golden Gloves championship. Conwell was also named the Under Armour Youth Male Boxer of the Year in 2015. 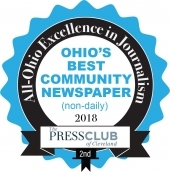 On Jan. 6, the Boys & Girls Club of Cleveland held an event at the Heights Youth Club (HYC), the organization’s Cleveland Heights facility, to honor Conwell. “Boys & Girls Clubs are a great avenue to keep kids busy and out of trouble,” said Conwell, a charter member of HYC, who attended the club every day through middle school. 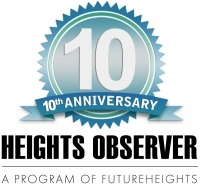 Many of his family members were at the HYC event, as was Zoraba Ross, the principal of Heights High. Ross said that the school offers online programs, so Conwell will be able to continue his classes while he is out of town competing for an Olympic spot.